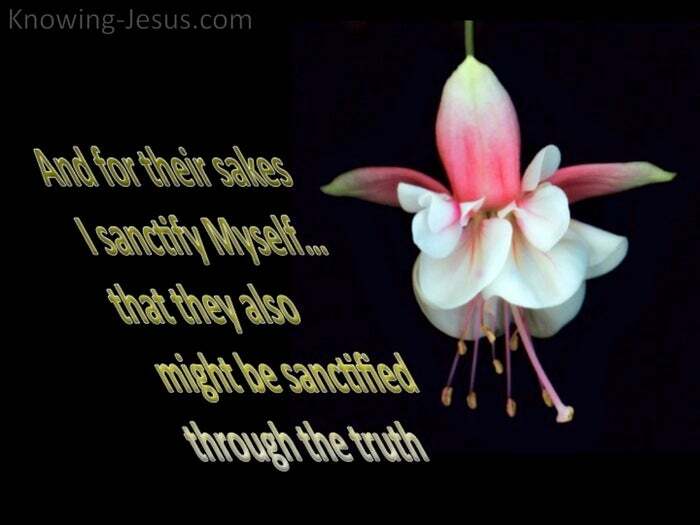 And for their sakes I sanctify Myself… that they also might be sanctified through the truth. The bottom line is that every believer has TWO ‘lives’ the old life and the new life. Any attempt whatsoever to consecrate the old Adamic life will lead to certain failure. God organised it that way.. for He’ll have absolutely nothing to do with the OLD. 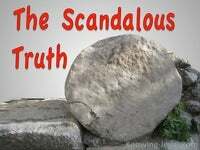 But what a blow to the believer who wants to consecrate his old life and tries to do so… This too often has a devastating effect on believers – as life becomes increasingly hard. He wants to live a consecrated life as outlined in scripture, but find it’s impossible. And God planned it so – for only self-failure can bring forth true consecration. The apostle Paul is probably the most logical and methodical thinker in all scripture. 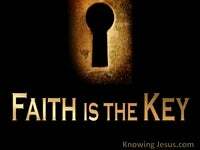 Step by step he lays out the entire process that takes a believer to true consecration – and the best example is in the book of Romans chapters 6-8. He explains in Romans chapter 6, where you want to get to – a life a lived for God. 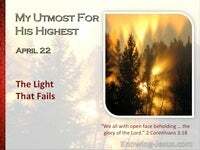 He explains in chapter 7 that it is impossible to ever live a life for God – our way. Then he takes you into the realms of how it is possible, but only God’s way. The one who has experienced the failure of Romans 7 – is a vessel God can use. This almost never happens in the early flush of faith – but after decades of training, For the old sin nature must be recognised for what it is – a life of self. Metcalf gives a succinct outline of the problem and the solution – he writes:- The modern teaching of consecration, which is tantamount to the consecration of the ‘old man,’ seeks to bypass the death sentence and, and therefore, only leads to frustration and failure. When, however, you and I are prepared, in simple humility, to make the FACT of our death with Christ our daily basis of life and service, there is nothing that can prevent the uprising and outflow of the new life in Christ, and meet the need of thirsty souls around us. 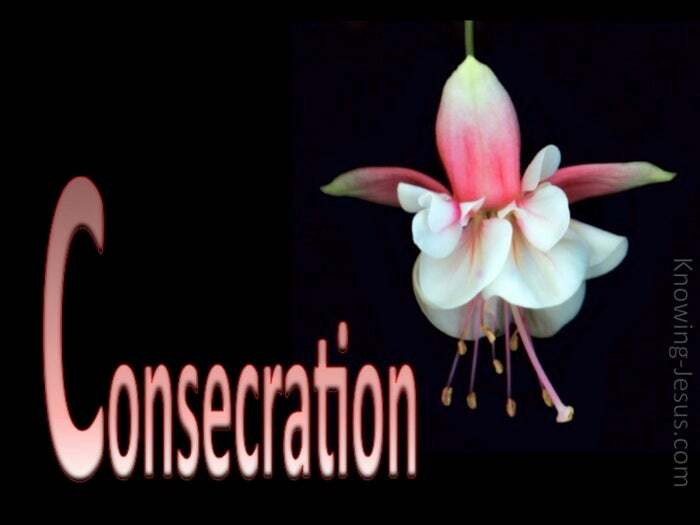 Genuine consecration is not the easy route in life – but a cruel and difficult path. 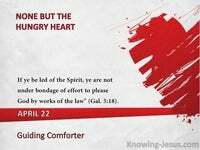 The Lord Jesus is the perfect example of a life, consecrated to God. Jesus spent His entire earthly walk living His life through the power of the Father.. Every work he undertook – every word He spoke, was His sign of consecration to God. His was a life that signified the infinite wisdom, power and sovereignty of God. 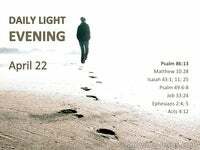 His was the life exemplifying God working in and through a consecrated man – a Man set-apart to God. 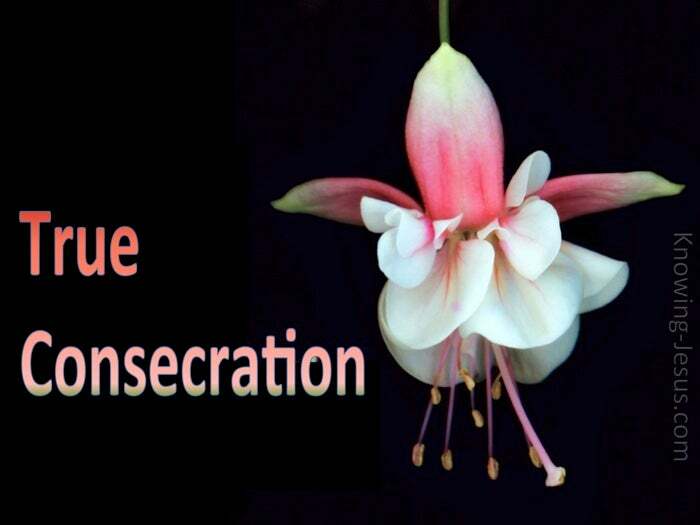 And He too – the great Creator of the Universe – became a ‘spectacle’ to man.. a sign of suffering, affliction and ridicule, but also a sign of wisdom, a sign of power.. a sign of great resurrection glory – the sign of a life – consecrated to God. It means in everything we do – living the Life of our Lord. It means in all that we say – that we say everything as from Him. It means the Lord working out His will and purpose in our lives with no opposition. Let this mind be in you that was in Christ Jesus… Have Thine Own way Lord – Thou are the Potter, I am the clay. Thy will not mine be done – to the glory of God the Father. Do not pray for easy lives. Pray to be stronger men (and women) – in Christ, Jesus said - ”My strength is made perfect in your weakness.” Do not pray for tasks equal to your power.. Pray for His power, which is always equal to your tasks.. For Thine is the power. Then the doing of your work shall be no miracle… – for you shall be the miracle – Christ in you, the hope of glory.